Fire And Rescue Truck Isolated. 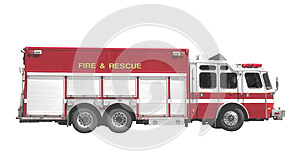 Photo title: Fire and rescue truck isolated. Large red and white fire department fire and rescue truck. Isolated on white.